Around 30 per cent of discarded PCs may contain sensitive data. 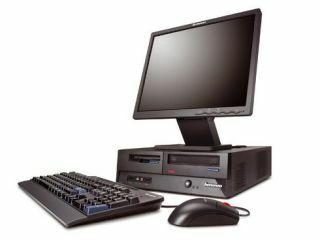 That's according to PC maker Lenovo, which has carried out research into the disposal of corporate machines. The survey found most companies simply believe formatting a hard drive will remove sensitive material - most aren't aware this data can be easily retrieved. Around 20 per cent of IT managers reckoned they had probably left data on PCs when they were disposed of. "It is essential for organisations to consider secure data disposal when refreshing end-of-life computers in order to avoid becoming susceptible to potentially immeasurable risk," said Lenovo's UK and Ireland vice-president, Chris Wells. The Lenovo-commissioned research also indicated that data was allowed to be stored on individual hard drives as a large number of companies do not have policies in place to stop this from happening. The survey found that not many have a policy to audit individual drives.